Come watch these two kooky ladies perform their rapid fire scenes filled with fresh, unique perspectives, laughs and curlz! 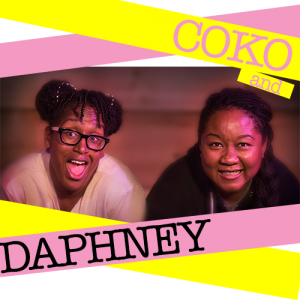 Coko & Daphney are two friends who love comedy, dance, and each other. Coko & Daphney have performed at various festivals in North America including Toronto, Boston, Montreal and New York City. They were recently featured at the Black Like She – Women in Comedy Showcase at the Harbourfront’s Annual Kuumba Festival (Toronto).